Support for the launch of a Super commercial “I say Hurray!" 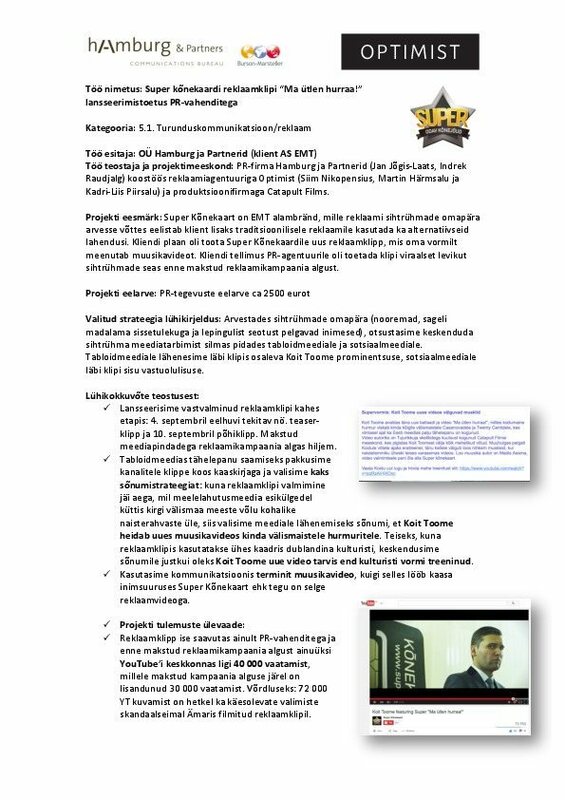 Super Calling Card (Super Kõnekaart) is a sub-brand of EMT, in advertising for which (taking into account specifics of the target groups) the customer prefers to use alternative solutions in addition to more traditional advertising. 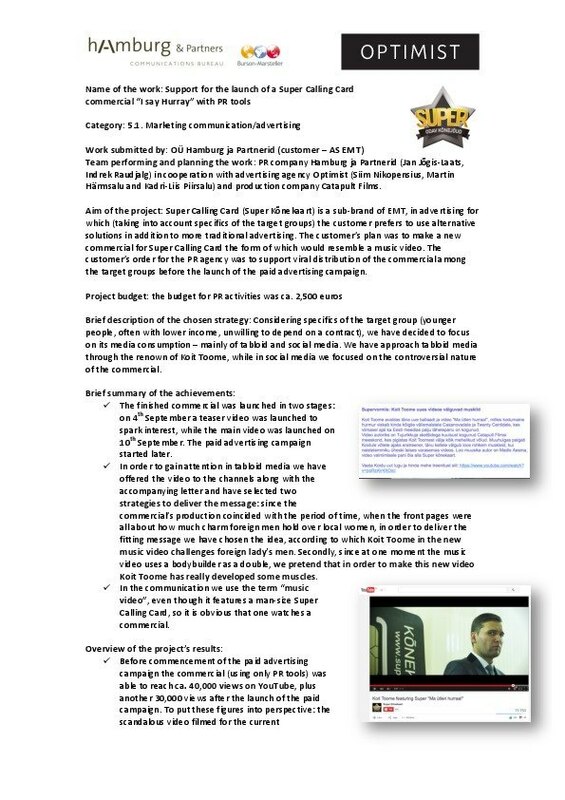 The customer’s plan was to make a new commercial for Super Calling Card the form of which would resemble a music video. The customer’s order for the PR agency was to support viral distribution of the commercial among the target groups.